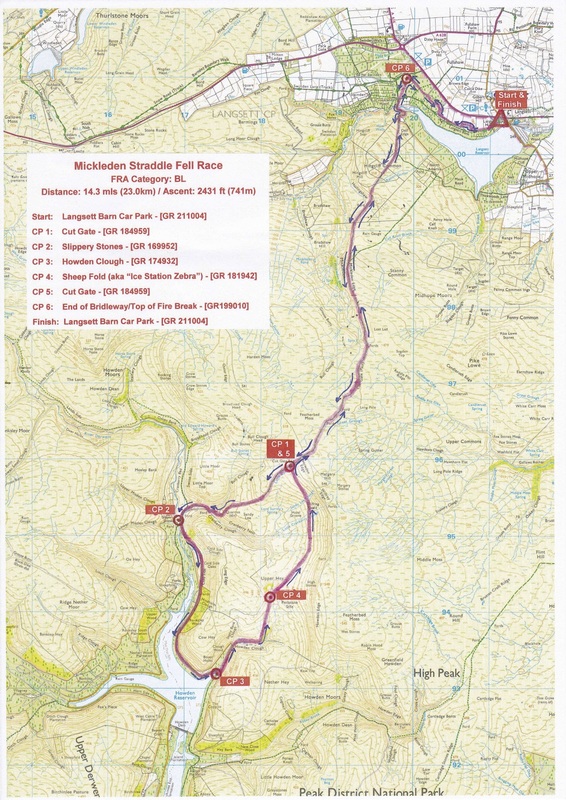 A year had passed since I’d ran Mickleden Straddle for the first time, my first ever fell race. I was hoping that I could improve on my time so I set my sights on taking 30 minutes off of last years time. Snow was on the ground after a week of wintery weather had gripped the country. 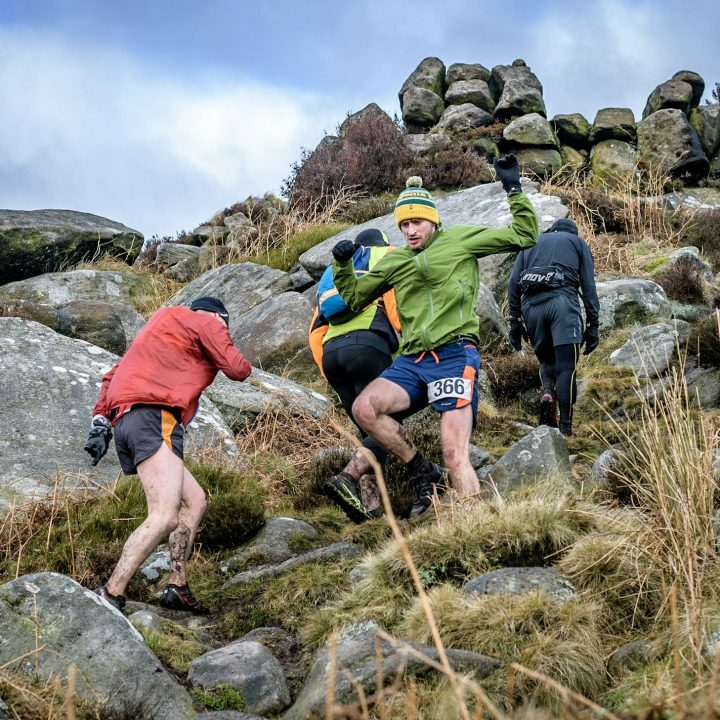 I knew that I was set for another chilling race across high moorland terrain nevertheless I was looking forward to it, especially the fact that I was racing against myself for the first time. The race turned out to be fast and furious because the ground was frozen solid making it much easier to run on than last years bog trot. 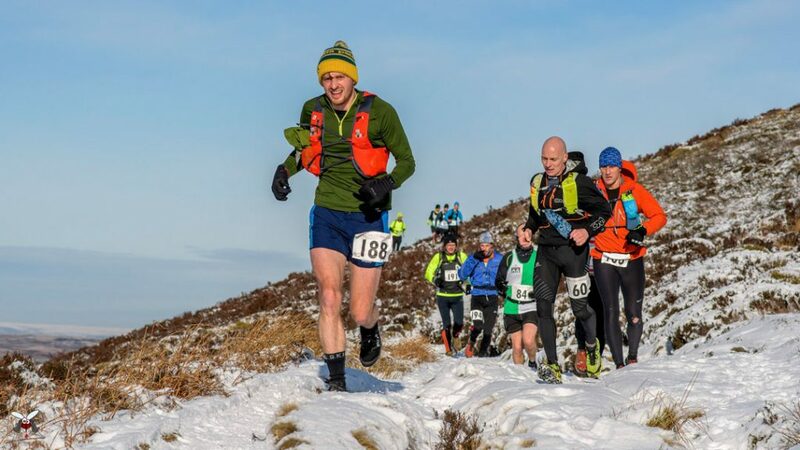 I’d recognised a few familiar faces at the start line but couldn’t put finger on why I recognised one particular runner until I later found out he’d won the race, Chris Holdsworth… I recognised him from being featured in The Fellrunner Magazine as part of the team GB fell running team. I hadn’t realised I was starting shoulder to shoulder with some of the best runners in the country. 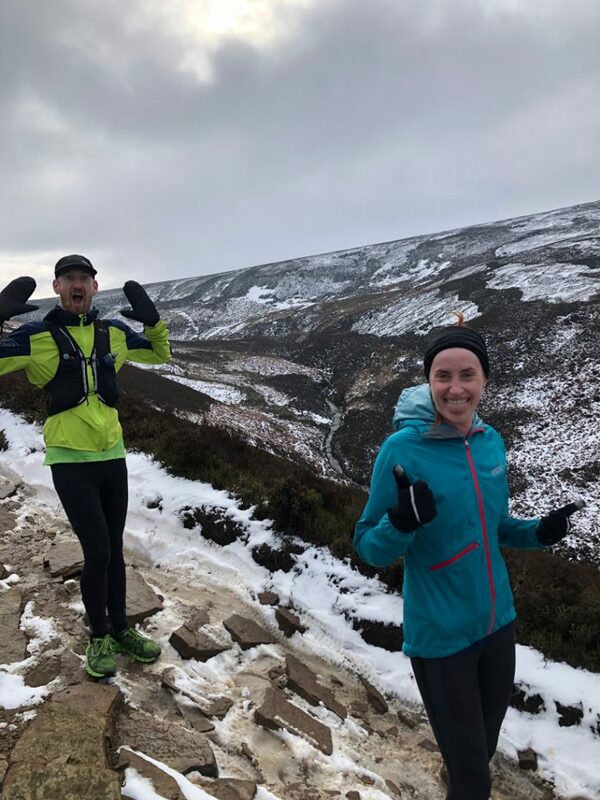 I knew the course pretty well from having ran it last year and I’d recced part of the race a couple of weeks earlier with Jess and Dan when I met up with them for a social run. 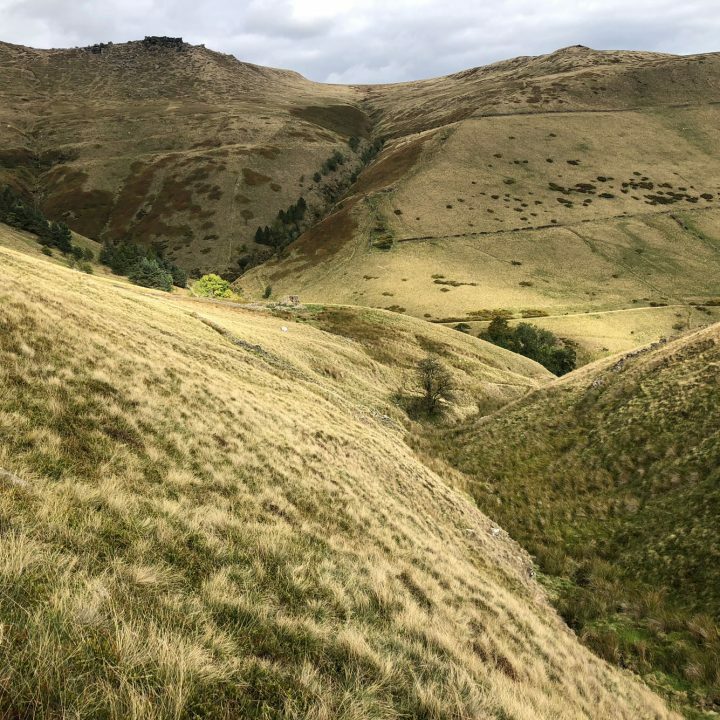 The first climb up Mickleden Edge was tough, I had to have a gel within the first 25 minutes because my legs were so tired as I’d gone out riding my bike the day before. I really wished I’d not done that during the race because it made it a lot harder to try and hit my target time. The picture below was taken within the first 25 minutes of the race just before I’d had a gel, as you can see I was really struggling. 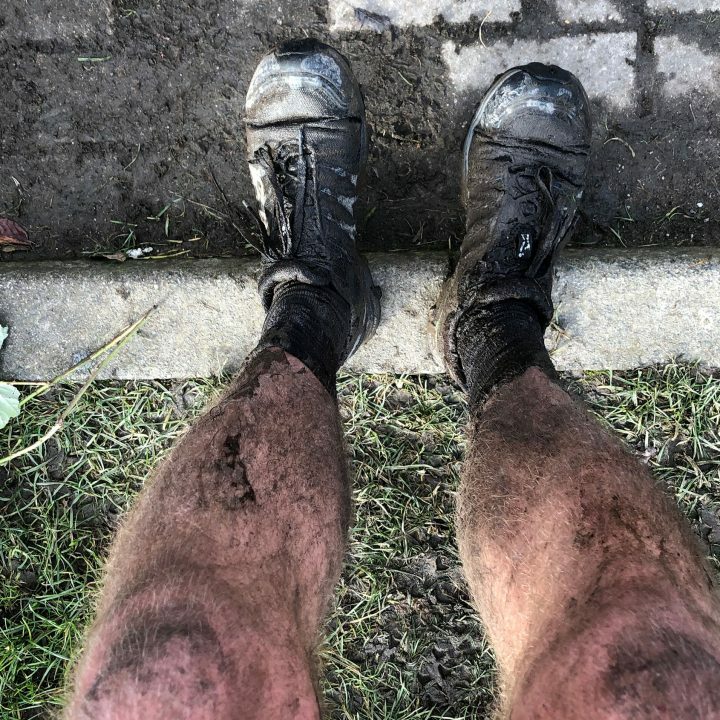 Luckily the gel helped me and I got a second wind of energy for the remainder of the race, only struggling on the climb from Ladybower reservoir back up to Mickleden Edge. I’d initially thrown my target time out the window earlier on in the race but a few miles later and I thought I might’ve been able to finish in 2:05 taking over 30 minutes of last years time, sadly that wasn’t to be. 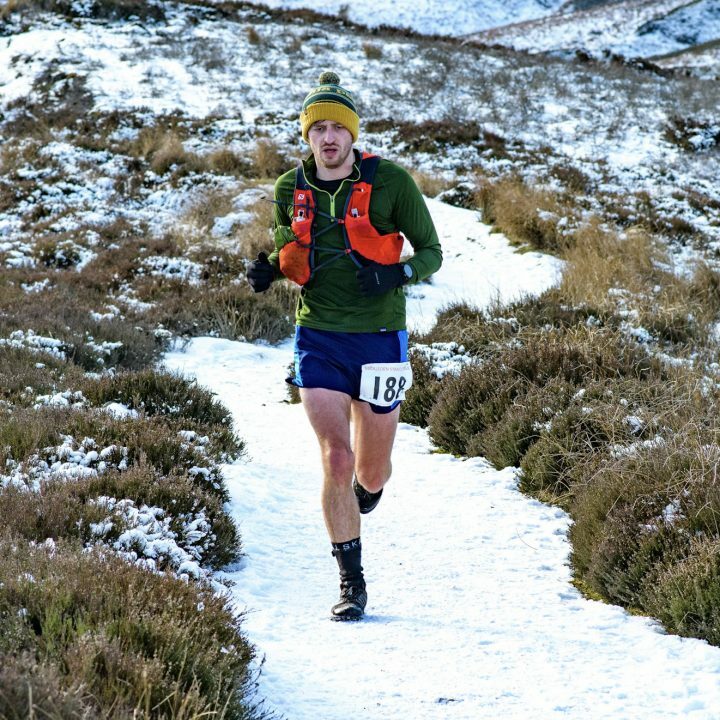 Throughout the race I’d seen three people end up wiped out, skidding along the icy trail on their arses. Despite the treacherous conditions, I’d managed to finish in 2:13. This meant I’d taken nearly 25 minutes off of last years time. When I looked through the results I’d finished 46th meaning I’d also knocked 75 places off where I’d finished last year. Overall a pretty solid result and the previous year of racing and training had a significant impact!